Sleep problems can be related to diet, lifestyle, the sleeping environment, biochemical imbalances, ones temperament and other factors. Here are suggestions for improving your sleep. 1) Reduce your salt intake, if you are eating a lot of salt. Salt, even good quality sea salt such as Himalayan salt or Celtic salt, can be very stimulating. This is why many people love chips, dips and a lot of junk foods such as French fries, pickles, relish, ketchup and more. 2) Eat dinner early. Eating late may leave undigested food in the stomach that interferes with sleep, especially if the food quantity is excessive or you have gas or other symptoms of indigestion. Take a quick shower just before bedtime. Do not take a bath every night, as many people do. This can cause you to absorb too many toxins in the bath water, and it is quite yin, as well, in Chinese medical terminology. A quick shower is best for this purpose. Get in a near infrared sauna for 10-15 minutes. Other saunas are not as good, but might work, too. Go out in the sun for several minutes after using the computer or television. Do this also if you feel uncomfortable after being with a person whom you know is ill or has a ‘difficult’ personality. D) shine a red infrared lamp close to your head area for no more than 10 minutes before bed. 4) Avoid sweets, juices or chocolate, especially at night. Sugar upsets body chemistry and may cause one to toss and turn or to get up hungry in the middle of the night. 5) Avoid stimulants, particularly in the evening. Stimulants just whip your body. They always result in more tiredness eventually. These include coffee, tea, caffeinated soft drinks, chocolate and sugar in any form. More subtle stimulants include anger, hatred, resentment, worry and fearfulness. Remember this next time you listen to the news or watch a violent movie. 6) Reduce mental activity in the evening. If you have trouble sleeping, it is wise to forgo intense intellectual effort at night. Relax, do light reading or other activities that do not overstimulate the mind. For example, you may need to turn off the computer at 6 PM and will only read or watch programs that are relaxing or engage in social activities after 6 or 7 PM. Also, decide you will not initiate or take phone calls after perhaps 8 or 8:30 PM, since this can easily stimulate a person and keep one awake. 7) Avoid vigorous exercise in the evening. Better to exercise in the morning or during the day. In the evening , limit exercise to perhaps a gentle walk, an excellent way to end the day. 8) Do some spiritual reading before bed each night, rather than watch the nightly news or a movie. This can make quite a difference for some people. It is relaxing, uplifting, and can help one to have a sense of peace and tranquility. 9) Be sure you are warm enough, but not hot. This includes your feet. Wear socks if needed, or heat your feet with a heater. A warm bath or sauna before bed can also be excellent. 10) Make sure your bedroom is dark and quiet. Install black velour fabric behind curtains or use other methods so your sleeping area is very dark, and preferably very quiet as well. 11) Some ventilation and movement of air is often helpful for sleeping. This might mean running a ceiling fan or just cracking a window open a small amount if it is cold outside, for example. 12) Let go of physical tension in the body. Methods that can be used include ten minutes of slow, deep breathing, gentle stretching or yoga in the evening. 13) Foot reflexology is superb to relax before bed. This is excellent to calm the nerves and help restore the natural energy flow in the acupuncture meridians of the body. Rub both entire feet, for at least five to ten minutes each. Be sure to include rubbing all the toes, the top of the foot, the heel and a little ways up the legs. Pay more attention to any area that is tender or painful. Twisting the toes gently is also very good. A reflexology sleep point. A reflex point on the soft area about the middle of the bottom of the large toe, slightly nearer the inside of the toe next to the second toe, appears to be specific for assisting sleep and rest. 14) A chi machine can be fabulous just before bed. This is a box that sits on the floor and you place your ankles in cradles on top of the box. When activated, the machine gently moves your legs back and forth, relaxing the spine and the entire body. These are not too expensive, as a simple one usually works just fine and cost about $120.00 new. 16) A cool sleeping environment is often better than a hot, stuffy room. If possible, have your sleeping area cooler than room temperature. 17) When traveling, many people sleep better by bringing their own pillow and even their own sheets or sleep pack if you are not sure how clean the sheets will be. Also bring earplugs, which are great all the time if you need them, and an eye covering device to make sure the room is dark enough. 18) Ear plugs. These are often helpful, especially in noisy environments, when traveling, or when sleeping with a partner. The foam rubber type are fine, but not nearly as good as the silicone type. They cost more, but block much more sounds. Eye covering should not be needed if the room is very dark. If this is not possible, such as when traveling or if a streetlight is nearby, perhaps, then eye covering can be excellent. 19) Separate beds for partners can be a helpful idea, though it sounds horribly unromantic to some. It is better energetically for many people. It also helps assure that a partner’s visits to the bathroom, or just random tossing and turning will not wake you up. 20) Avoid most magnetic mattress pads. Use care with these products. Most help for a while. However, discontinue their use after a few months to a year. Prolonged use usually is not helpful and may be harmful. A lot of ‘magnetic deficiency syndrome’ is caused by iron and other ferrous metal toxicity in the body. 21) The size and shape of pillows can make a difference. A pillow should not cause undue strain on the neck. Cervical pillows and other types are worth experimenting with. 22) Avoid becoming overtired. When one is overtired, the adrenal glands are overstimulated. One may need to unwind before going to bed in this case. This is one of the most important reasons to go to bed early. If one stays up for some reason, the sympathetic nervous system and the adrenal glands will help keep you up by secreting some adrenal and thyroid hormones. This is fine, except that when you wish to go to bed, you cannot sleep well as you are overstimulated. 23) If possible, sleep in, in the morning. This may sound unusual. Here is the explanation. The adrenal glands become active about 5 AM. Many people awaken at this time and want to get going. However, this prevents the adrenals from resting more. It is best to go back to sleep, if possible, or just lie awake and meditate, for example, and get up after 7 AM, when the adrenals are less active. One may feel more tired at first, but it will help rest the adrenals. 24) Turn off electronic appliances, or at least sleep 8-10 feet away from wifi, cell phones, TV sets, computers and all other sources of EMF (electromagnetic fields). If at all possible, turn these devices off and do not keep alarm clocks right next to your head. Battery powered devices are not nearly as much of a problem, however, if you need an alarm clock. If you are very sensitive to electronic emissions, know that even turning off some electrical equipment is not always enough. Listen carefully as many radios, boom boxes, tape decks and more have transformers that stay on even if the device is off. These will disturb sensitive individuals and are not healthful for anyone during sleep. Wifi should not be near your bed. Move the router, modem and other components to other parts of the house or apartment. House wiring. In some cases, sleep will improve radically if you make sure the electric power is off in your bedroom. This is because even the wiring in the wall gives off powerful EMF and RF frequencies. This is more work to install a special switch or circuit breaker, but I know people for whom it has made a lot of difference in their rest. 25) Drink more earlier in the day. Drink water in the morning and not after 6 PM so you are not having to get up many times to urinate at night. This is quite disturbing to your sleep in some cases, especially if you do not fall asleep easily. 26) Natural remedies. Use calcium and magnesium during the day to assist sleep. I always recommend extra calcium and magnesium for everyone, even if sleep is not a problem. However, several clients have reported that taking more calcium and magnesium during the day as well, and not just before bed, helps them sleep better. Most likely, the reason is it keeps the nervous system calmer all day and avoids one becoming as overtired or overstimulated. The amount to take is usually about 500 mg of calcium and about 300 mg of magnesium three times a day with meals. Even more is fine, if needed. During the night, you can take more calcium and magnesium. Chewing your supplement or taking a liquid calcium/magnesium supplement may be absorbed faster than simply swallowing a tablet to help one go back to sleep. Beware that excessive magnesium is laxative for some people. Also, too much calcium and magnesium is not helpful for long-term use unless you are guided by a professional. Other natural sleep remedies. Use the remedies discussed below on an as needed basis. One can become dependent on them, which is not optimal. Sleep remedies are most often excellent while on trips or in situations when you are under stress that interferes with your rest and sleep. They should not be needed as your body heals on a nutritional balancing program. Note that the best time to take sleep remedies is while you are quiet and preparing for bed at an early hour. They may be less helpful when one is anxious and tense, or at a late hour when the sympathetic nervous system has kicked in to give you extra energy because you did not rest when you should have. Remedies are just that. They are not a substitute for correcting situations that interfere with your healthful early-to-bed, daily sleeping habits. Natural Sleep Remedies That I Most Recommend. These include a cup of strong, freshly brewed chamomile tea, valerian root, herbal combinations, Sleepytime teas and homeopathic remedies that are available at health food stores. Other nutrients. Other sedative products include choline, inositol, threonine, and sedative herbs such as hops, passionflower and others. See below under less recommended remedies for a number of others, many of which are related to copper toxicity. Milk near bedtime. An old sleep remedy is a small cup of warm milk. Milk is high in tryptophan, calcium and has some magnesium. This works well for many people and does not harm the body, as can the sleep-inducing drugs. L-tryptophan or its precursor, 5-htp may also be used by themselves. These are also very safe and helpful for many people. Somewhat Less Recommended Sleep Remedies. Copper toxicity is a very common cause for sleep difficulties. Symptoms also include headaches, acne, rashes, premenstrual tension in young women and emotional ups and downs. If you suspect copper toxicity, which is discussed in another article, you may try a symptomatic approach, taking up to 30 mg of zinc, up to 200 mg of vitamin B6 with the evening meal or possibly before bed, and more in the middle of the night if needed. Note that to get rid of copper toxicity also requires a complete nutrition program to strengthen the adrenal glands and address other possible causes of copper toxicity. Avoid Chinese patent herbal remedies such as An Shui Wan and Worry Free, Sleep Easy (Shui de An). Chinese herbs can contain toxic metals, even the best brands, in my experience. I recommend melatonin only for a short period of time, as it is a hormone that may have other unpredictable effects. 27) Hydrotherapy. An older method I have used is to stand in the back of a shower and allow cold water to run just on the legs and feet. The water must be quite cold. Take a warm shower first to warm up, if needed, or wear a night shirt to keep warm. This procedure draws the blood down from the head to the feet very effectively. To make it even more powerful, do not dry your legs. Get into bed with them wet, as it will keep working once you are in bed. 28) Empty the bladder and bowels. This may be obvious, but having a full bladder or being constipated will also interfere with sleep. 29) Listen to a boring lecture or other boring CD or tape. This can be surprisingly good, and much better than listening to music or watching a movie, at times. 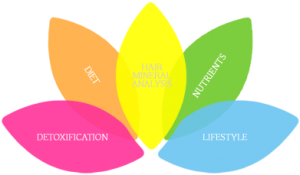 30) A nutritional balancing program will often identify many other hidden causes for sleep difficulties such as copper toxicity, mercury and other metal toxicity, calcium and magnesium imbalances, and so on. 31) Drug therapy for sleep is not usually needed if all the above is used. Only consider it if you are doing all the above suggestions to no avail. Sleep is so important that in such a case, a sleeping pill can be helpful until your body chemistry is corrected so your body will relax enough to rest. For babies and children, Benedryl is cheap and available without a prescription and not a bad drug remedy. Use only when needed, however, and only as much as needed. Another OTC drug that may be better is Excedrin PM. Remember to take calcium and magnesium first, however, as much as you need. Beware that many brands of calcium and magnesium are not effective for some reason. I am not sure why this is so, but have observed it many times. So one may need to try several products in enough quantity to see which works. Electronic gadgets have overtaken many teenagers’ bedrooms, damaging their health due to lack of sleep, according to a British survey. The Sleep Council warns that “junk sleep” could rival the unhealthy junk food craze as a major lifestyle issue for parents of teenage children. Their poll of 1,000 teenagers between the ages of 12 to 16 revealed that 30 percent got only four to seven hours of sleep. And almost 25 percent said they fell asleep while watching TV, listening to music, or using some other electronic gadget. About 40 percent said they felt tired each day, and some 20 percent of the boys admitted their quality of sleep was affected by leaving their TV or computer on. However, only 11 percent said they were bothered by the lack of quantity, or quality, of sleep. If afternoon naps interfere with nighttime sleeping. This happens, at times. It is due to low vitality in some cases. The person is somewhat delicate and the nap upsets the normal rhythm. Often, as health improves, this problem disappears by itself. In some cases, a person may, by taking an afternoon nap, upset their body chemical patterns enough to begin eliminating a stored stimulant such as caffeine, cadmium from cigarette or marijuana smoke or something else. Releasing this chemical into the blood could also interfere with sleep later in the evening. Random sleep habits. Some people do remarkably well with a random sleep schedule. It is often necessary in occupations such as a commercial airline pilot. However, as a general rule, the more similar the sleep schedule each day, the better. Night work shifts. This is often difficult on many people. If one is not feeling well on this schedule, do whatever you can to change it to a regular day shift, even a late shift. 1. Do not panic. Nap the next day if at all possible. 2. During the night, do your best to rest at night lying down. If sleep is impossible, listen to quiet music, an instructional CD, the radio or other quiet activity. 3. You may do a coffee enema at night, even in the middle of the night if you have a headache or other toxic symptoms. I have often been able to fall back asleep afterwards. Perhaps use a little less coffee at night. 4. You may also use a sauna in the middle of the night, and it may help move a toxic reaction along faster or stop pain so you can sleep. Apartments and Condominiums. Dwellings such as apartments and condominiums are hard to insulate as well as houses, though it can be done. If you live in one, try to be sure you are not sleeping against a wall that has a large TV set or even a computer on the other side. This applies to a regular home as well. Apartment type dwellings also have more electronic fields due to more people in them. The best is often an end unit on either the first or the highest floors. Get to know your neighbors and ask them to turn off the TV and computers and other electronic gadgets early if possible in the evening so you can go to bed early in a peaceful electronic environment. Houses are preferable to apartments and condos, in part for this reason. Snoring. This can and does interfere with one’s sleep, not just your partner’s sleep. Snoring occurs usually when the tongue blocks the airway a little. Many methods can help overcome snoring. Nasal strips often work well by opening up the nostrils a bit. Plastic strips are also sold that go inside the nose and may be more comfortable. Special physical exercises are also available that may help snoring. These are available through the internet. It is worth taking care of snoring in some bad cases, as it can lead to or indicate sleep apnea. Losing weight helps some people stop snoring. Hot flashes that keep one awake. Some women at or near the menopause experience hot flashes at night that keep them awake. For safe, simple ways to deal with this problem that often work well, without the need for drugs or natural hormones, read the article entitled Menopause on the Center for Development website. Sleeping with an ozonator/ionizer air purifier. This is recommended highly. It adds a little oxygen to the air, which everyone needs today. The machines are offered by Better Living or Eco-Quest, and perhaps by other manufacturers. All are acceptable, as far as I know as long as they have an ozonator and an ionizer in them. Place the machine in the bedroom, preferably high off the floor on a book shelf. Set the ozone production to about half way. Full power is too much and will irritate the lungs. Close the bedroom door most of the way, ideally, to keep the ozone in the room. Do not be afraid of ozone – it is not harmful when used correctly. Adding a little more even in a polluted city with a higher natural ozone level should be okay for most people, especially if one eats well and drinks some carrot juice that is high in vitamins C and E, the antioxidants. Some people do not rest well, though they may sleep. One cause is sleep apnea. With this condition, one stops breathing periodically during sleep. The usual cause is the tongue slips back into the throat, blocking the air flow. Detection of sleep apnea. Sometimes a partner will just notice that you stop breathing at times. However, the other way the problem is identified is to go to a sleep clinic. These are available in many locations. One goes to sleep at the clinic and cameras observe one’s breathing and movement during the night. Correction. The common medical treatment is to wear a face mask connected to a machine that pumps air into the mouth and nose. It is called a continuous positive air pressure machine or CPAP machine. Some doctors just use is a splint in the mouth that keeps the tongue positioned correctly. Also, nutritional balancing or even just losing weight may correct the entire condition. Copper greater than about 2 mg% or less than 0.9 mg%. A fast oxidation rate. This is often associated with low calcium and magnesium, another common hair analysis pattern associated with insomnia. Four low electrolytes pattern. This is often associated with anxiety, irritability and impaired sleep. Calcium and/or magnesium deficiencies. A hair calcium level below about 35 mg% or a hair magnesium less than about 4 mg% may indicate deficiencies that often interfere with rest and sleep. Calcium and magnesium are needed to relax the muscles and the nervous system. Biounavailable calcium and/or magnesium. A hair calcium level greater than 175 mg%, or perhaps even less, often indicates some degree of biounavailable calcium and perhaps magnesium. This is highly associated with insomnia in many instances because it is functionally the same as a deficiency. Many other hair analysis imbalances may contribute to insomnia. These include mercury toxicity, other high levels of toxic metals, and an imbalanced sodium/potassium ratio – either too high or too low. 1. Dement, W.C. and Vaughan, C., The Promise of Sleep, Dell Publishing, NY, 1999. 2. Wiley, T.S., Lights Out: Sleep, Sugar and Survival. 2001.